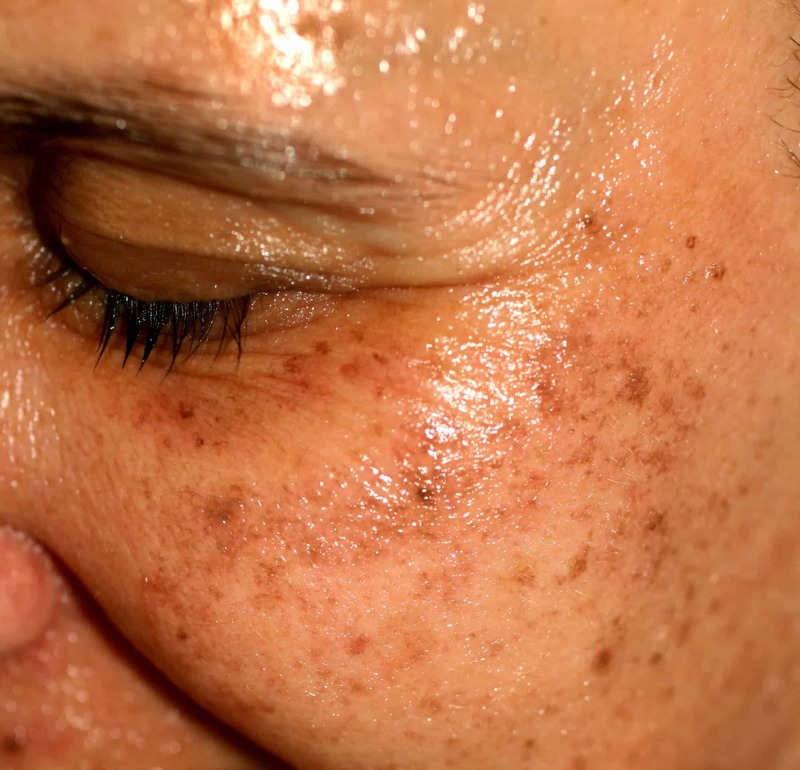 The unsightly tan, grey, reddish brown, brown or black spots and patches on the age weathered face are known by various names, each signifying the apparent cause for the blemish, but only one of these terms is accurate. Age spots, liver spots and solar lentigines all refer to the same skin condition that involves the appearance of dark spots on the face, hands, arms, shoulders and sometimes on the feet. Although an eye sore, the blemishes are quite harmless and don’t cause pain or any other discomfort such as itching or flakiness. The spots can appear in clusters and can vary in size, but the texture of skin is the same as that on the non-pigmented areas of the face. Usually, these spots are flat but in rare cases, there may be some amount of protrusion. Age spots, on their own, cannot be linked with any other illness. 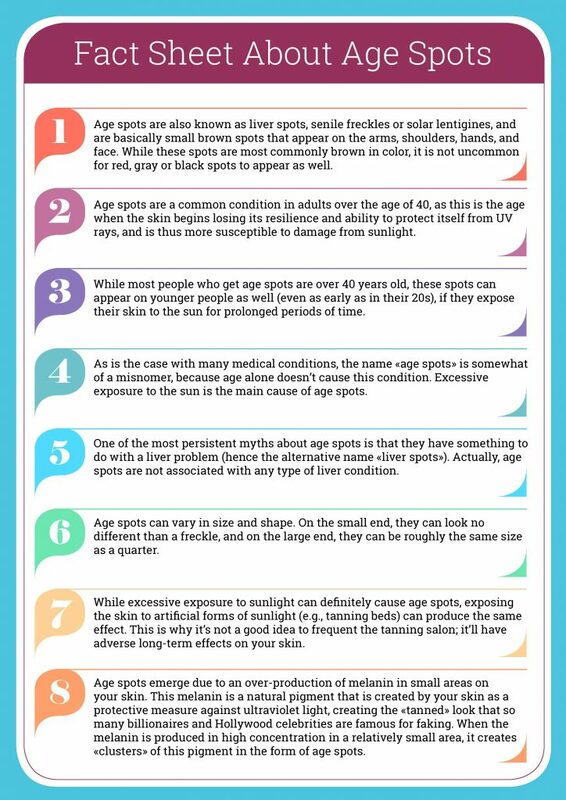 Although, these spots are more common in individuals above the age of 40, they can affect any individual of any age group. 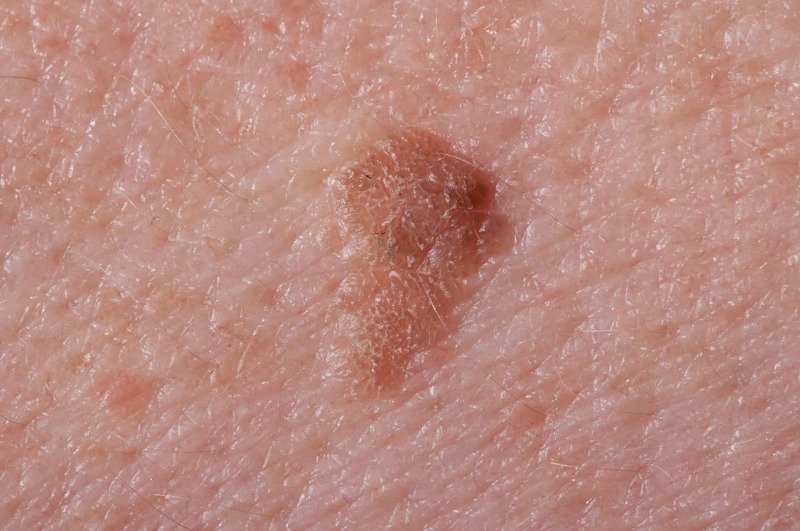 While these spots may look like cancerous growths, they are harmless and do not require any treatment if you are ready to embrace the change they cause to your look. The two images below show 16 facts about age spots. 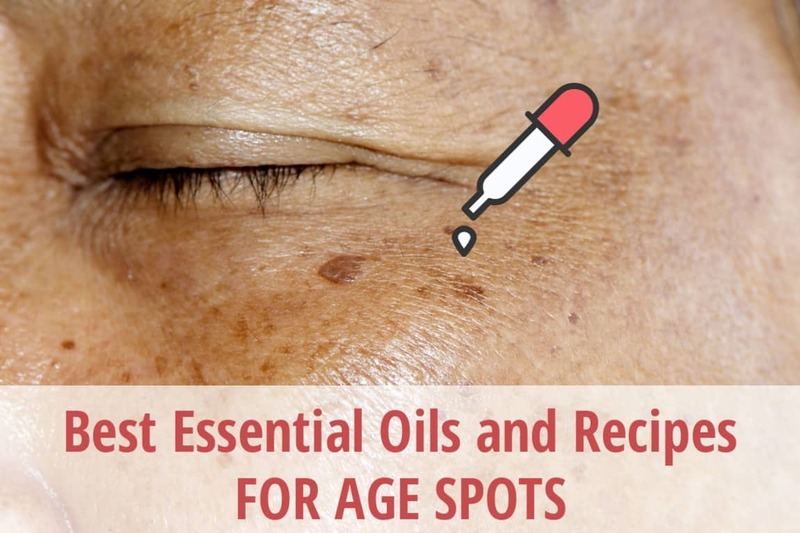 Why Use Essential Oils For Age Spots? In contrast, essential oils may not offer the lightning fast or even striking results as laser therapy, but make no mistake, sustained use of these natural ingredients will get you results that are just as good and without the side effects. On the plus side, you will do your skin loads of good by opting for these soothing, healing and rejuvenating ingredients. Moreover, essential oils take an inclusive approach to dealing with the blemishes that is not focused on just bleaching the affected skin. Yes, these potent substances will erase those spots, but they also undo the damage and the inflammation that are at the core of the condition. So, what you are getting with essential oils is a treatment modality that pretty much covers all bases. 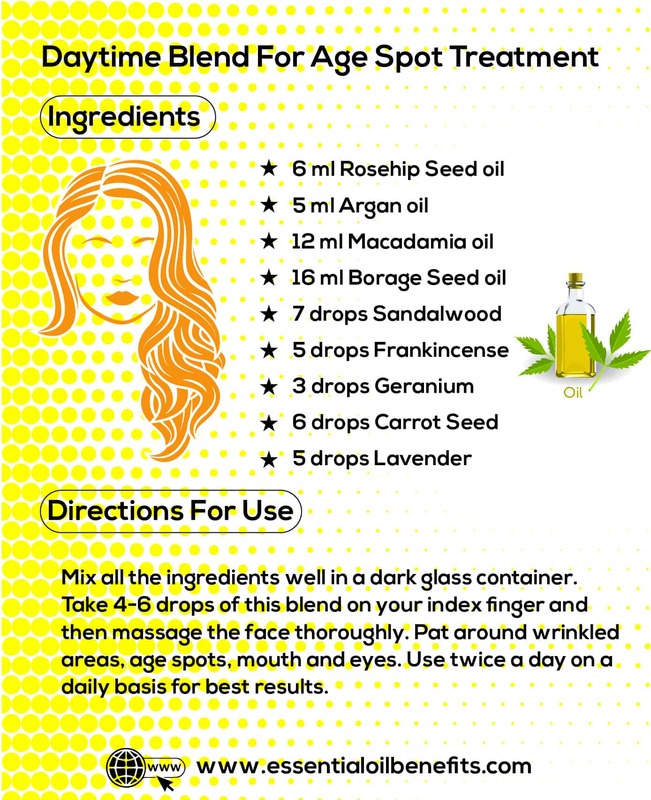 Apart from making the age spots less significant, these oils can also help you deal with skin hydration issues, wrinkles and other skin conditions that might bother you at some point in life. Here is a product that you can consistently rely upon to help you get rid of those nasty age spots. 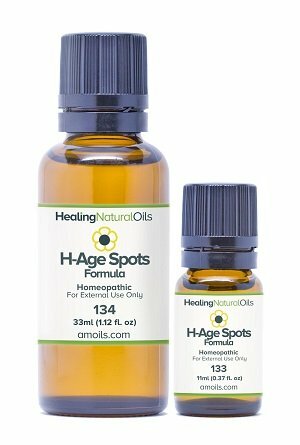 Check here to read my detailed review on Amoils H-Age Spots. Frankincense is one of the best anti-infectious, antiseptic and anti-inflammatory oils whose healing effect goes deep down the skin. It relieves the nerves and protects the skin against microorganisms. Other than that, Frankincense is believed to have anti-tumor and anti-cancerous properties making it one of the best oils to use for conditions like age spots, moles, warts and many other skin problems. I would rather call this oil a woman’s best friend, as it is excellent at treating one of the most dreadful of all skin conditions – wrinkles. Blend the oils together and store in a dark glass bottle. On the day you intend to head out in the sun, place the bottle in the refrigerator for use later. When you are back, roll the bottle in between your palms for a 10-15 seconds before opening it. Use generously all over your face and neck. Allow the oils to work their magic for at least 2-3 hours or you can simply leave the blend on overnight. If your skin seems too oily for comfort, soak some cotton wool in rose water/chilled green tea, wring till it’s just damp and wipe the excess lipids with it. There are scores of options available when you look for essential oils with skin lightening properties and even antioxidant effects. However, the very phytochemicals that help to erase those blemishes and neutralize free radicals are also often responsible for skin irritation. There are two options to work your way around this conundrum. You can dilute the oils significantly; often to 0.5-1%, which can hose down their effectiveness or you can use an oil that will neutralize their skin irritating effect without impacting their ability to deal with the blemishes. Here is how you accomplish this with the help of frankincense oil. Use on areas that have been treated with the skin lightening blend. Apply 2-3 hours after using the skin lightening blend/product. This mixture works well regardless of the skin lightening method/formulation used. It is exceptionally effective when you have redness or skin irritation from the treatment. Sandalwood oil offers amazing therapeutic value for conditions like age spots due to its anti-aging, antiseptic, anti-oxidant, anti-inflammatory and anti-microbial properties. It has shown great promise in skin conditions such as psoriasis, acne and eczema and combats the damage caused by free radicals that happens as we age. It also acts as a skin regenerative, an astringent and a natural skin tonic. Lavender is one of the essential oils that I would recommend no person should go without – it not only smells amazing but also helps your body and mind relax. One of the reasons why I like this oil the most is its skin regenerating ability. As such, this oil is helpful in treating skin conditions like scarring and sunspots. In addition, it helps in reducing allergic reactions and inflammation; it is amazingly soothing to aggravated burns, dried out skin and sunburns. Adding to the list of benefits, lavender essential oil has anti-microbial, anti-oxidant, anti-inflammatory and anti-fungal properties. This amazing oil within the category of immortelle essential oil gives fantastic results when used for age spots, psoriasis and eczema due to its anti-microbial, anti-oxidant, and anti-inflammatory properties. In addition, it helps in pain relief and tissue regeneration. You can also use this oil as a sun radiation protector. While being restorative for the skin, carrot seed essential oil helps in the regeneration of skin cells. While being effective at smoothing dry skin, it also helps in lightening skin marks and enhancing the tone of aging skin. Geranium essential oil helps in normalizing the production of sebum in the skin and diminishes the age spots appearing on your face. It is also helpful in reducing wrinkles, tightening the skin and keeping the skin elastic. Geranium has a host of other benefits for the skin including helping with dermatitis, cellulite, athlete’s foot, ringworm, impetigo, shingles. Myrrh essential oil is beneficial for aging skins because of its strong anti-inflammatory qualities that help in reducing age spots, fine lines and wrinkles and its ability to improve the skin elasticity, skin tone and skin firmness. This essential oil is also helpful in healing chapped skin, skin rashes, skin infections and other inflammatory conditions. 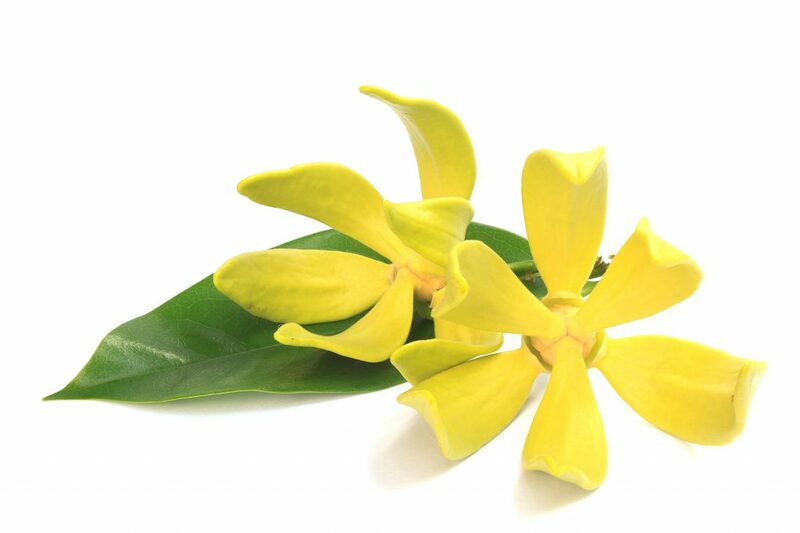 Neroli essential oil is a fantastic essential oil to use for aging, sensitive and oily skin types. It helps fade away age spots, tones up sagging skin and reduces fine lines. This restorative oil has a natural ingredient called citral, which makes cell regeneration easy for your skin. Its antibacterial quality shrinks the large skin pores without drying the skin and stabilizes the production of sebum. Neroli is also one of the best essential oils when it comes to dealing with symptoms of menopause. Patchouli essential oil is perfect for aging skin. It helps smooth wrinkles / fine lines and encourages new cell growth. The antibacterial, antimicrobial and antifungal properties of this oil are beneficial in treating skin conditions like acne, psoriasis, dermatitis and eczema. Rose essential oil is wonderful for aging and dry skin. Research has indicated that it contains many anti-inflammatory and antimicrobial compounds that speed up skin healing. As a result, the essential oil of rose cleanses the skin and tones its texture making it one of the best remedies for dermatitis and psoriasis. Interestingly, when inhaled, rose restrains the water loss in the skin and reduces the concentration of the stress hormone called cortisol. Remember, stress has a deep impact on your skin! 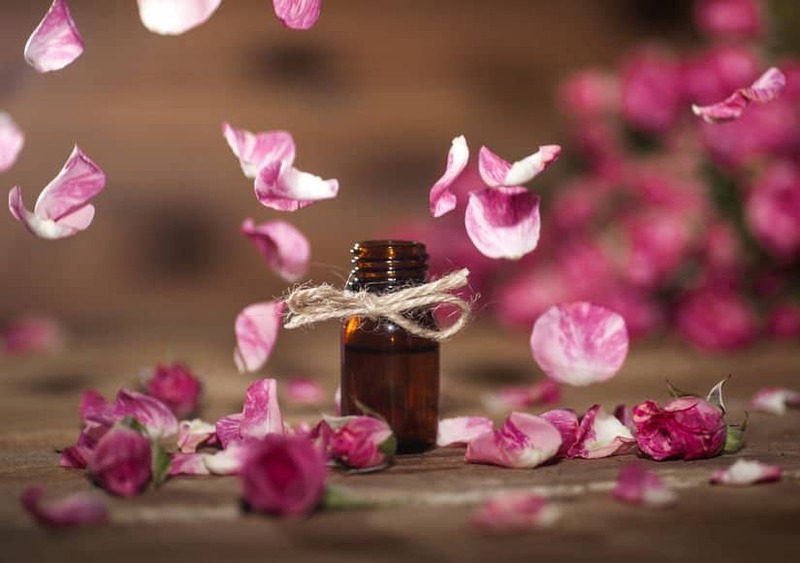 Rose oil is also a well-known anti-depressant and reduces stress, anxiety and promotes a sense of well-being. The essential oil of tea tree is well known for its anti aging effects. The anti-inflammatory and antimicrobial properties of this oil help fight off skin aging issues like age spots. As tea tree helps to regulate the production of sebum in the skin, you can expect this oil to diminish your age spots significantly. The floral fragrance of Ylang Ylang makes it one of my favorite essential oils for use in aromatherapy including for stress relief and relaxation. It is helpful in regulating the production of oil in the skin, which ultimately allows you to avoid conditions like age spots. It may also help in skin cell regeneration, improving skin elasticity and smoothing fine lines. You may think of this as just another citrus oil and yes, the high volume of d-limonene in the extract is indeed one of the reasons for its inclusion in this list. The bioactive is a known skin brightening and anti-pigmentation agent. But grapefruit essential oil also brings killer antioxidant properties to the table. Plus, it is a formidable anti-inflammatory agent. Since both inflammation and oxidative stress contribute greatly to the appearance of age spots as well as other signs of premature skin aging, this is one of the most effective oils for a face that has seen better days. Grapefruit oil is best used underneath an SPF 30+ sunscreen. Because some people are allergic to this oil and even the fruit, I recommend that you do a patch test before using any blend that contain grapefruit oil. You can use the oil in combination with lemon essential oil or in lieu of it. This oil may come as a surprise to many because most people don’t know about the extraordinary skin healing properties of this extract. Coriander has long been the herb of choice for treating all sorts of skin issues, such as hyperpigmentation, sun exposure related damage, including sun spots, skin sagging due to the breakdown of collagen and others. Both the herb and the oil have a remarkably soothing and cooling effect on the skin. Moreover, the oil boasts of excellent antioxidant and anti-inflammatory properties. A skin whitening agent that has stood the test of time, this oil helps to prevent age spots and tackles those that already exist. The monoterpenes in coriander oil aid in limiting the skin damage caused by environmental factors and offer an overall skin brightening effect. The oil is also known to offer superlative sun protective benefits. Use it in conjunction with your sunscreen to get the most from it. A blend of cooling coriander oil, warm cinnamon and lemon oil in sesame seed/safflower oil yields marvelous results against age spots. Due to its astringent properties, Cypress essential oil strengthens the skin, improves blood circulation and minimizes the signs of skin imperfections like age spots. Lemon essential oil is a tried and tested remedy for age spots. The high limonene content of the oil explains its ability to deal with all types of hyperpigmentation. A potent astringent, detoxifier and antiseptic, lemon oil tightens and tones the skin and is exceptionally effective against complexion dullness. It not only helps to treat wrinkles, fine lines and other signs of age-related skin damage but also works as a preventative measure against premature skin aging. The limonene in lemon oil is a tried and tested skin lightening agent. But, you have to use it cautiously because it can cause an allergic reaction if you have very sensitive skin or if you go overboard with usage. You can change the quantity from drop to millilitre but stick to the prescribed ratio. Store in a dark glass bottle. To use, dip a Q-tip in the blend and immediately put the cap back on. Dab the blend on the dark spot/spots. If you have exceptionally sensitive skin, protect the surrounding area by applying sesame seed oil on it and then treat the hyperpigmented area (which should not be covered by the sesame seed oil) with the blend. Use twice a day for a period of 7-10 days then take a break for 5-7 days. You should need no more than 2-3 rounds to get noticeable results. The phytochemicals in lemon oil also have the unique ability of increasing dermal penetrability of all other ingredients, whether natural or chemical. So, you can also use this oil to get more from your skin lightening blends/ products. Here is how you can use the oil for this purpose. Add the oil to the hot water and indulge your skin in a steaming session that will leave it more receptive to all other products and will also add to the skin lightening effects of any other formulation. You can opt for this treatment once, every 2 weeks. The golden spice is used to this day to give Indian Brides their resplendent and radiant look on their big day. If a single application of this herb can get so much done, imagine the skin benefits from the sustained use of the herb in its most concentrated form. The essential oil derived from the golden yellow root is not only an extraordinary anti-inflammatory agent but also a gentle yet effective skin brightener. Plus, it offers superlative antioxidant properties that help to deal with the free radicals that come from the inside and those that the environment sends your way. Rich in limonene, a bioactive compound that is known for its skin bleaching properties, this lemony oil is also a potent astringent and skin protective agent. 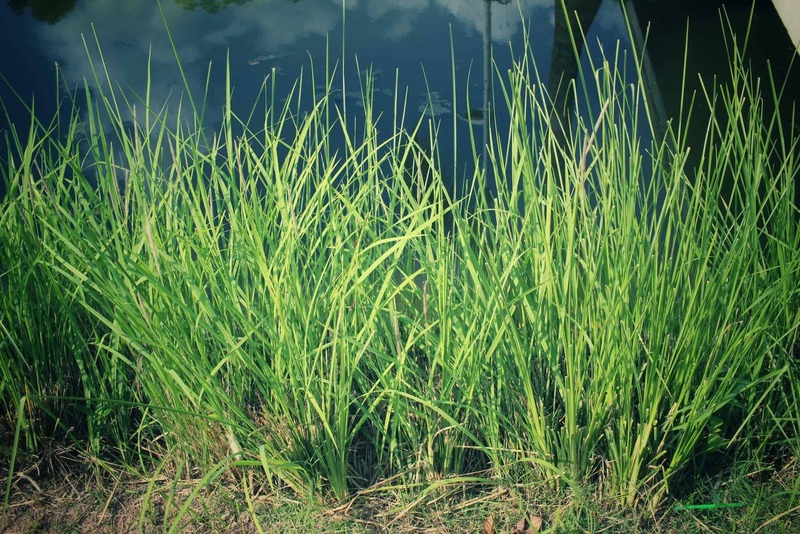 The grassy herb and its oil are both known to have tyrosinase inhibitory properties that curb the hyper-production of melanin. Moreover, lemongrass oil helps to strengthen the dermal cells and layers and it is an excellent antioxidant. If that is not enough, like most other essential oils, you also get significant anti-inflammatory benefits from this aromatic extract. Yes, a very tiny amount can go a very long way when you are dealing with clove oil, which has the highest eugenol value of all essential oils. Simply put, it is one of the most powerful antioxidants in nature. Moreover, this aromatic extract has impressive anti-tyrosinase properties, so it stops those cells from producing all that extra melanin. Plus, the pungent oil is one of the most potent skin whitening agents in nature, so it also erases existing hyper-pigmentation. How is that for a double whammy against age spots? This is another spice-oil that offers the dual benefits of skin whitening and protection from oxidative stress. Instead of cinnamon bark oil, opt for the aromatic extract derived from cinnamon leaves, which does not cause skin irritation. Overall, cinnamon oil is exceptionally effective against all signs of skin aging. Also, since it improves circulation, it acts as a potent skin plumping and detox agent that helps in the faster purging of metabolic toxins that cause skin damage from the inside. 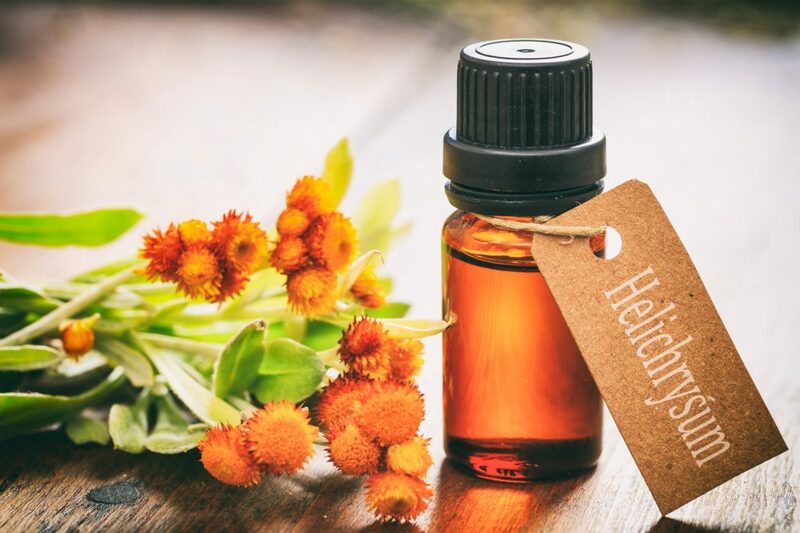 This earthy-sweet smelling oil has a calming effect on the mind and your skin and has been used for centuries in cosmetics and to beat all sun exposure and heat related ailments. Vetiver oil is a strong antioxidant and anti-inflammatory agent that brings about a significant reduction in melanin production as well as the activity of tyrosinase. Moreover, it also helps to maintain the levels of cellular glutathione, which is your body’s natural antioxidant and skin lightening agent. Sweet Almond oil contains considerable amounts of vitamins K and E and therefore it not only improves skin tone and complexion but also helps the skin restore and retain elasticity and support better blood circulation. Its natural UV blocker quality makes it ideal for individuals who spend most of their time in the sun. In addition, it offers an additional advantage of being odorless, making it the best option for those that don’t like the fragrance of oils. This carrier oil is also light in composition similar to olive oil so it absorbs quite quickly into the skin. Coconut is rich in anti-oxidant vitamin E, making it an excellent carrier oil for anti-aging skin-healing serums. In addition, coconut is rich in medium-chain triglyceride lauric acid, which makes it one of the healthiest oils for the skin. While helping to fade away age spots, coconut is also good at strengthening the skin against cellulite, eliminating keratosis pilaris and fading stretch marks. In addition, it is a natural sun blocker, so you can expect this oil to protect your skin against sun damage. Avocado oil is a very thick oil and for that reason, most of us hesitate using it over areas such as the face. Just like coconut oil, avocado is also one of the healthiest carrier oils for the skin due to the presence of collagen-boosting plant sterolins and vitamin E. Fact: Did you know that vit B12 creams containing avocado oil is an excellent therapy against psoriasis. Because avocado oil is very dense, I would recommend using it only with serums and that too at night. If you still find that to be too sticky, try using avocado in combination with another carrier such as grapeseed oil. Almost 80% of the content in argan oil is mono-unsaturated fatty acids with 20% making up the saturated fatty acids. This makes it an excellent choice for those with dry skin. This oil can fade away fine lines and wrinkles and restore elasticity of the skin. Apricot Kernel oil is one of the most important ingredients of any skin healing essential oil blend. While vitamins A and E included in the oil promote the production of collagen and regeneration of skin cells, the omega-6 gamma-linolenic acid helps to nourish and hydrate the skin. Apricot absorbs into the skin quite fast, making it good for healing and hydrating extremely dry skin. It has been called the “beauty secret of celebrities” and “nature’s very own anti-aging potion”, and for good reason. This light oil has the perfect balance of Omega 3, 6 and 9 fatty acids that keeps the skin hydrated without blocking the pores. Moreover, the oil is a rich source of flavonoids that exhibit remarkable abilities to beat down oxidative stress. But the biggest benefit of this oil comes in the form of its vitamin C content. Not only is this nutrient a powerful antioxidant but also essential for the synthesis of collagen and elastin in the skin. The best part is that ascorbic acid (vitamin C in its natural form) is a potent skin whitening agent. Additionally, the phenolic acids, carotenoids and phytosterols in rosehip seed oil noteworthy antioxidant properties and the potential to do away with all signs of skin aging linked to photodamage. In other words, we are talking about spotless and ageless skin here that comes courtesy of a humble oil. Seabuckthorn Berry Oil is another vitamin-rich essential oil that contains up to 200 active ingredients and that makes it one of the most valuable products in the world. It is certainly the best choice for those that want to reverse the signs of aging. It will help to moisturize the dried-out skin, heal acne, and minimize the signs of other skin imperfections like eczema and hyperpigmentation. Pomegranate contains high concentrations of antioxidants that can help to avoid free radical damage and slow down the aging process. The presence of Ellagic and Punicic acids nourishes the skin, promotes cell regeneration and increases elasticity. Mix all the ingredients well in a dark glass container. Take 4-6 drops of this blend on your index finger and then massage the face thoroughly. Pat around wrinkled areas, age spots, mouth and eyes. Use twice a day on a daily basis for best results. This blend is very effective at minimizing age spots and wrinkles. Take one drop each of myrrh, frankincense and grapefruit oil diluted in 1 tsp. of fractionated coconut oil on your palm and then apply the blend to the affected areas. This anti-aging serum is especially developed for those who do not wish to spend a small fortune buying expensive essential oils but still want to remove their age spots. Here is how to prepare and use this blend. Mix all the oils together and store in an amber bottle. Massage a small quantity of this blend over the cleansed neck, face and hand. Blend all the above ingredients and store in a 4-ounce glass bottle. This serum can be used both in the morning and night; however, I choose to apply it at bedtime. Like most serums, less is more, so it takes a very small quantity to cover your neck and face and if by chance you have used even a little more than required then you may feel quite greasy. Use this short, sweet and age reversing serum recipe to be free of age spots as well as for a firm, toned and moisturized skin daily and enjoy a beautiful and healthy skin, which you have always wanted! Mix one drop each of Frankincense essential oil and Carrot Seed essential oil to one tsp of Rosehip carrier oil. 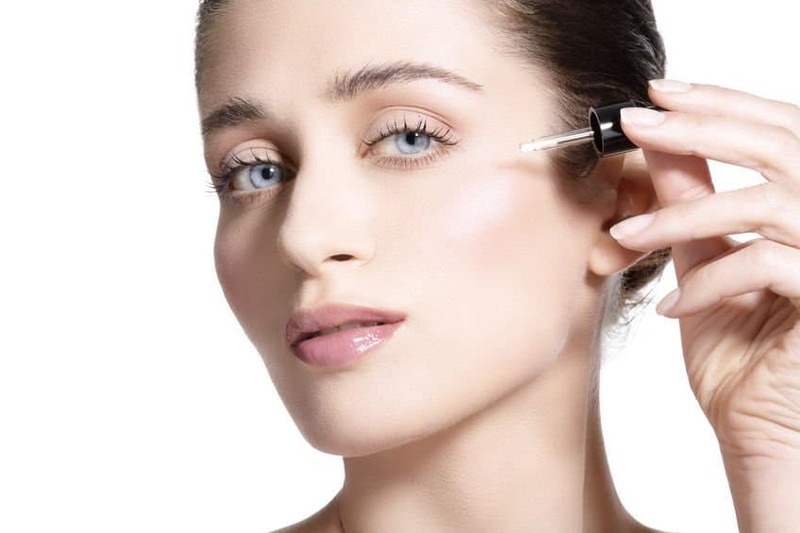 Use a cotton swab (Q-tip) to apply this blend straightaway to the age spots. Use this blend two times a day until you get desired results. Mix all the essential oils in the above-mentioned quantities and add to 4 oz. of apricot kernel oil so the whole mixture fits into 6 oz. amber jar. Using a dropper, put 1 tsp of this blend on your hand and massage into the neck, face and hand in the evening. Now that we have established the role of sun exposure in the appearance of age spots, let me tell you what happens when the environmental insults continue. The faulty melanin secretion not only goes into fourth gear but also spreads to the neighbouring cells, leading to an increase in both the size and the darkness of existing spots. As oxidative stress and chronic inflammation join the fight against your skin, new spots get formed and faster too. Unfortunately, free radicals adversely impact your skin’s ability to protect and heal itself, thus creating a pathway for further photo damage. 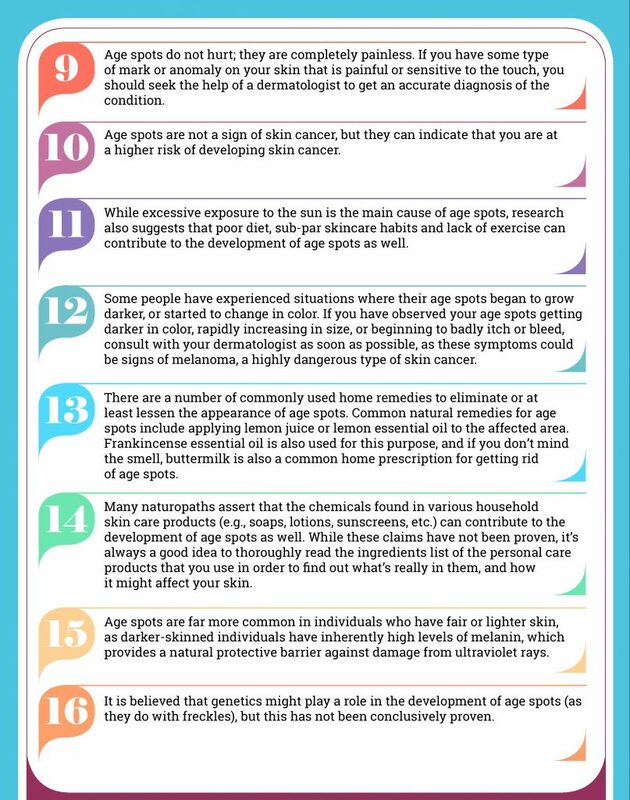 So, if you believe prevention is not needed once age spots have already arrived, think again. Preparing the macerated oil: For the macerated oil use dried ashwagandha (Indian ginseng powder). This herb can easily be found online. It is a well-known adaptogen and anti-aging ingredient, when used externally and internally. Put 100 ml sesame seed oil in a glass jar (200 ml capacity) along with 1 heaped tablespoon of ashwagandha powder. Mix with a clean and dry spoon and put the cap/lid back on. Fill a cooking pot with enough water to submerge the jar up to the level of the oil in it. Put the jar in the pot and place the pot on the stove. Bring the water to a boil. Remove from heat and let stay for an hour. Repeat 4-5 times and then let the oil rest for 24 hours. By the time you revisit the jar, the herb will have settled to the bottom. You can either use the oil on top by removing it in a separate jar or filter the entire content of the jar. Don’t throw away the residue. Store it in a small glass container and add it to your face mask recipes. Sun infusion works even better than heat infusion but it is a time consuming process that can take 7-10 days. Preparing the blend: Remove 30 ml of the infused oil into a small glass bowl and add the essential oils to it. Mix using a glass stirrer or a toothpick and store the blend in a dark glass bottle. Use both before and after sun exposure. Apply a few drops of this blend before slathering on your sunscreen. If you need to reapply your sunscreen, use the blend first and then apply the sunblock. Once the spots form, it’s not just a matter of undoing the skin damage that led to the blemishes. You will have to aggressively deal with the hyper pigmentation. Now, I know that skin lightening and bleaching are terms that are perceived negatively. But in this case, lightening the spots is truly the only way to get rid of them. 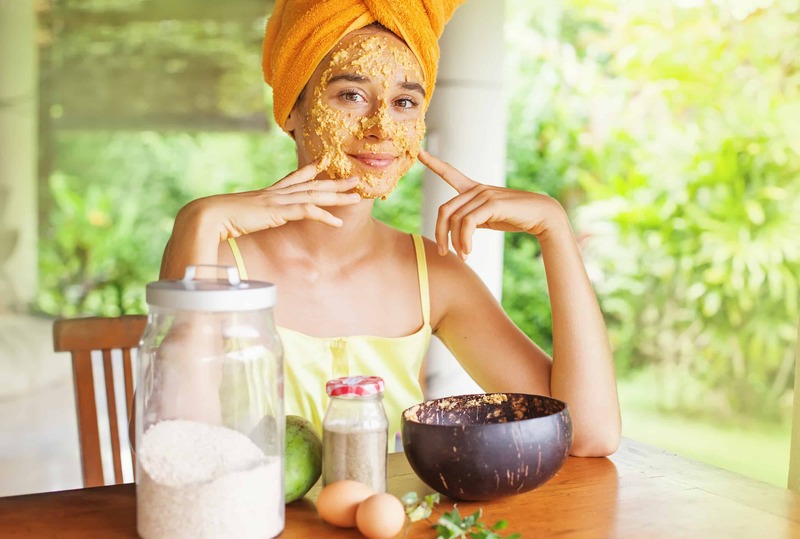 So, you will have to use skin lightening or bleaching compounds and here is a recipe that combines some of the most potent natural ingredients. If you are below the age of 40, use this exfoliating scrub every day. If you are over 40, use it every alternate day and on the in-between days, opt for oil cleansing. You can mix the dried ingredients beforehand and store them in a glass jar. For mixing, yoghurt as required. Start your morning with this quick and easy exfoliating cleanser that will undo all the damage sustained the day before and will limit the damage in the hours to come. Mix the powders and store in a glass jar in a dry and cool place. You don’t want to introduce moisture in it or it will mold. So, use a dry spoon every time you want to use the mix. Similarly, blend all the oils together and store in a dark glass bottle. Take about 2 teaspoons of the powder in a bowl and add ½ tsp. oil blend and enough yoghurt to make a smooth, lotion-like paste. Use it all over your face and neck as you would any exfoliating cleanser. Don’t use too much downward pressure but do cover your entire face using circular strokes. Pay special attention to the hyperpigmented areas by being extra generous with usage. You will only need to massage for 5-7 minutes. Layer on what remains of the mixture on the affected parts and let it remain on your skin for about 10 minutes and then wash off with warm water. You don’t have to cleanse or tone your skin after this treatment. This blend can be used with the exfoliating cleanser and the green tea “dark spot-fader” spray or even on its own. If using a vitamin C or retinol serum, use it before applying this blend. Mix the oils and store in a dark glass bottle and apply twice a day for best results. Use for 4 weeks and then take a break of one week. Since you already know that age spots can be a stubborn lot, you will agree with me when I say that preventing them is better and easier than trying to treat/cure them. Start using this 2 step process to stop the sun damage and the oxidative stress that follows. Step 1: Did you know that the tannins in green tea are the best defence against oxidative stress and sun damage? The easiest way to harness the healing power of tea is by cold infusing matcha or regular, organic green tea leaves in room temperature water. You do everything just the way you would to prepare a cup of strong tea. But, there is no heating involved. You simply mix the tea leaves with water and let the infusion stand overnight and in the morning you will have your supercharged green tea ready. Pour ½ the tea (assuming you have prepared 1 cup) into a spritzer bottle and add ¼ tsp calendula extract to it. Add the other half to your morning smoothie/green juice or tea to get the antioxidant benefits of the concoction from the inside as well. Spray the soothing and protective tea-calendula potion all over your face and neck before applying any other product. It doubles up as an effective toner and astringent so use it before your serum or moisturizer. While your skin is still damp from the green tea spray, apply your next skincare product. Store under refrigeration and use it through the day whenever you skin feels icky or weighed down or looks visibly tired. Above all, use it when you need to reapply your sunscreen. Spray it on and give it 1-2 minutes and then put on your sunscreen. Remove the oils in a small glass bowl and mix with a glass stirrer or clean toothpick. Transfer into a dark colored glass bottle and use 3-5 drops of the blend before applying your sunscreen. For best results, use this blend twice a day for at least 8-10 weeks. 1. Never use undiluted essential oils on the skin. 2. Do not let essential oil blends get into the eyes. 3. Always do a patch test before using essential oil blends. 4. Opt for steam distilled lemon oil instead of the expressed version. 5. If you are allergic to the botanical material that a particular oil is derived from, there is a very good possibility that the essential oil will also cause an allergic reaction. 6. If you are pregnant or breast feeding use essential oils under the supervision of a certified aromatherapist. 7. Discard blends after 3-4 months. 8. Do not use any blend continuously for more than 2-3 months. 9. Keep your blends away from the reach of kids and pets. 10. Do not store essential oil blends in areas where they may get exposed to humidity and heat. 11. Always use sunscreen on top of any essential oil blend meant for skin brightening/lightening. 12. Avoid immediate sun exposure after using citrus essential oils. Rich in lycopene, vitamin A, C, K and other nutrients, fresh tomato juice will not only help to fade away the dark spots but will also protect your skin from free radical damage. Add a pinch of cinnamon and about 1 tsp. of rice flour to 2 tbsp. of tomato pulp. You are going for a mixture that has the consistency of cake batter. Apply only on the affected areas or use as you would a face mask. Keep on your skin for 15-20 minutes and wash off with room temperature water. Alpha hydroxyl acids are frequently used to treat age spots and yoghurt contains plenty of lactic acid, which is a potent AHA. Parsley brings its own anti-inflammatory and skin lightening effects to the recipe while turmeric lends the antioxidant punch. You will need 1 tbsp. parsley leaves paste, ½ tsp turmeric powder and 2 tbsp non-pasteurized yoghurt. Mix the ingredients together and apply on the hyperpigmented parts or all over your face. Keep the mask on for 30-40 minutes and then wash off with warm water. This recipe is exceptionally potent against all types of hyperpigmentation because papaya offers the exfoliating effect while licorice extract completes the job with its skin bleaching properties. You will need a slice of ripe papaya and 1 tsp licorice root powder. Mash the fruit into smooth pulp and add the licorice root powder to it. Mix well and apply on the affected parts. Wash off with regular, tap water after 20 minutes. This is another recipe that uses the active enzymes in fruits for their skin lightening effects. In this case, we are talking about bromelain, which is a powerful exfoliant. Start with 1-2 tbsp of rose petal powder and add enough fresh, homemade pineapple juice to make a thick paste. 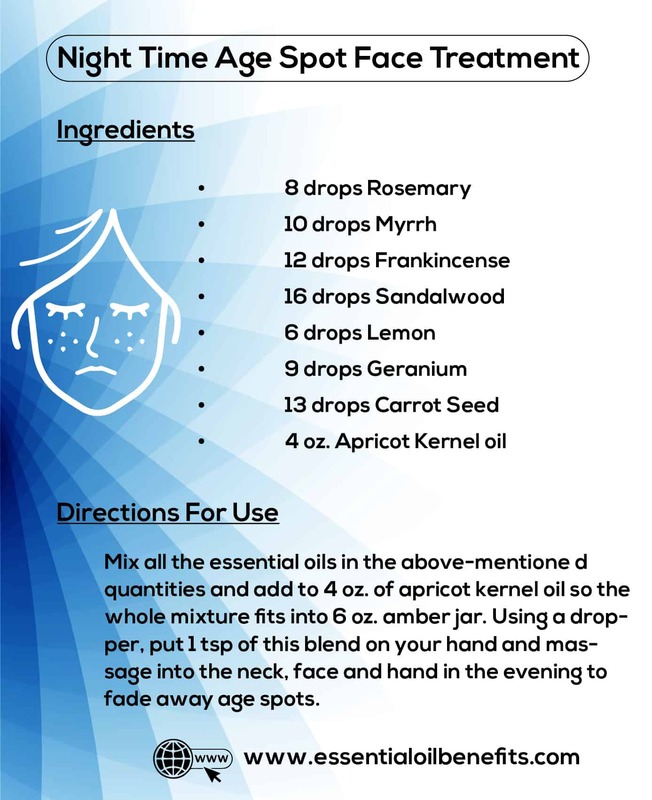 Apply on the dark spots or all over your face and neck. Wash off after 15-20 minutes. This combination of natural ingredients works well to both treat and prevent age spots. The concoction is easy to make and use, and it’s completely safe. You will need ½ cucumber, ½ medium sized onion (peeled) and a ½ inch piece of ginger root. You want the juice of all these veggies, so a centrifugal juicer will work better than a blender. Soak cotton pads in the juice and place on the hyperpigmented areas. Keep them on your skin for 15-20 minutes and then wash the treated area with regular water. This indulgent treatment works well when the spots have just raised their ugly head and when you need to generally even out your skin tone. You will need 3 ripe strawberries and 2 tbsp of coconut cream. You can use a spoon to mash the strawberries, but I always recommend dunking the fruit and the cream in the blender and processing for a minute. Use this fruity mask all over your face. Keep it on for 20-30 minutes, applying a second layer if you feel the first has dried. Wash it off with warm water. This is a spot treatment that works well even on the darker spots. It has to be kept on overnight. Because it contains nutmeg that can cause serious and potentially damaging eye burning if the mixture gets into your peepers, be cautious when using this gel treatment. You will need 2 pinches of nutmeg powder (a bit less than ¼ tsp) and 1 tsp aloe gel (homemade). Mix the two ingredients and apply with a Q tip directly on the dark spots. Reapply after 20 minutes and then leave it on all through the night. In the morning, remove by dabbing the treated area with cotton wool soaked in cold water or green tea. This is an easy to make treatment that helps with sun spots as well as hyper pigmentation caused by hormonal imbalance. Start with 2 tsp soy flour (non GMO) and 1 tsp matcha. Use black tea to make a thick paste (cake batter-like) and apply on the hyperpigmented parts. Keep the paste on your skin for 15-20 minutes and then wash off with cold water. Sure you need your daily dose of vitamin D, but you don’t have to bake yourself to get it. About 15 minutes of early morning sun exposure is enough to meet your daily requirement of vitamin D.
No, I am not asking you to stay indoors. But, do seek shade whenever you can. If this means walking on the shaded side of the street or carrying an umbrella along or even getting that hat out of its box, why not? Unless you intend to be out and about in the PM hours, slather on that sunscreen like your life depends on it, regardless of the weather and the season. You need a product with SPF 30 at the least. Apply it 30 minutes before sun exposure and reapply every 2-3 hours. One of the reasons sunscreens don’t work as well as they should is because people use ½ or even 1/3rd of the required amount. So, be generous with your sunscreen. Whether it’s the flaming ball in the sky or a tanning bed that gives you that sun kissed look, rest assured that your skin is going to pay the price for your excesses. UV rays are extremely damaging regardless of their source. Although not the principle cause of age spots, nutritional factors can play an ancillary role. For instance, polyunsaturated fats can lead to inflammation in the body and when coupled with iron will accelerate the rate at which those age spots form. Similarly, too much iron can put you at a greater risk of developing liver spots. Essential oils should be weakened in carrier oil to a maximum of 3% and hence, the proportion will be 18 drops of essential oil in 1 ounce (30ml) of carrier oil. You can increase the quantity of your blend in the same proportion. Remember to conduct a patch test to be assured that your skin does not have an unfavorable reaction to the oils. The inner forearm is the best place to conduct the test since the skin in this region is delicate and similar to the facial skin. I have had great results with the use of these essential oils – my skin looks shiny and clearer than ever before, and my age spots and acne marks do not exist anymore. First and foremost, I love your website!!! In your latest article 21 Best EO for Age Spots, your daytime blend uses rosehip seed oil, Argan oil, Macadamia oil, and borage seed oil. To try to keep costs down, could you substitute from your Best 8 carrier oils? I noticed most of the daytime oils were not on your list for Best 8 carrier oils. I have coconut, apricot, almond and avocado. Could these be substituted? If yes, what would your ratios be. Thanks again for sharing your knowledge and research. Indeed you can do the substitutions as needed – each oil has different properties and one could be more or less effective. A rule of thumb is to dilute 15-20 drops of essential oil (frankincense, lemongrass, etc.) in 1 ounce of carrier oil (almond, coconut, etc.). HI I have a recipe for a facial cleanser that I’ve been using. It has almond oil, vitamin E, castile soap, 10 drops frankincense, 5 drops Lavender oil, 5 drops peppermint oil and distilled water. Do you think that will help with my brown spots? Do you have any idea how long I’d have to use it for to see benefits? I’d keep the frankincense and substitute the others for neroli, sandalwood and carrot seed essential oils. You would have to use the recipe daily for at least 3-4 months to see results. Recipe 1 shows 23 drops of essential oil (Sandalwood, Frankincense, Geranium, Carrot Seed, Lavender) mix with 18 drops of carrier oil (Rosehip, Argan, Macadamia, Borage Seed). I just want to make sure since your note below indicate we should diluted to no more than 5%. My apologies and thanks for pointing out. I have changed the carrier oils to “ml” for ease of convenience. Is recipe 1 also mixed with a carrier oil or just a blend of the oils? Recipe 1 includes a blend of essential and carrier oils, so once the blend is made up, you can simply use a few drops as required. After being outside in the sun working, poolside, gardening, etc…. I get like a heat rash on my upper chest. It gets very itchy, bumpy and dry. Do you have any suggestions on what EO I could use? I am not sure what the rash is, however you could use 3 drops of lavender (or 2 drops geranium) and 5 drops of chamomile diluted in 2 tsp of almond oil or coconut oil and apply to the affected areas. You can also refer to the article below in case of sunburns. Have you tried occlusion on age spots with essential oil preparations? My grandmother want so lighten some dark spots on her arms. I am just searching for safe and effective ways to use the oils efficiently for this purpose. I am not sure I understand the word “occlusion” in the context of age spots. Please clarify and I’d be sure to help you. Honestly, I don’t know the effect of the combination of chemicals and essential oils on age spots. So, I would simply use essential oils or recipes as per the above post or H-Age Spots. I think it is by far the safest method to combat age posts. Really, what the question asked is whether or not after applying the oil do you cover it with a bandaid or leave it open to breathe? I am not sure which recipe/question you are referring to, generally I’d leave it open. Thank you very much for the newsletters you sent out, they are so informative about the powerful healing of the oils. I have already used them twice. I got rid of toe nail fungus with a mix of cinnamon and oregano when my GP was suggesting to take pills for 3-6 months. I also used frankincense on a mole that was growing really fast on my back when my GP was sending me for surgery. Thank you very much for educating the public from your website and the newsletters about the amazing healing properties of the oils. All GPs do is to promote drugs and make peoples’ health poorer when making drug manufacturers’ richer. I will need you expertise for a problem of mine that i haven’t managed to sort-out yet. I have hyper-pigmentation on the face and it is spread a lot. I believe in homeopathy and i have an excellent homeopath but unfortunately he couldn’t help me. I tried IPL which helped for sometime but the brown sports come back again after a while. My homeopath had me tested and it is not my hormones. I believe that it is sun exposure as i grew up in Mediterranean and never used sun protection for years. Also can be old marks from acne or any other reasons. I have checked your website several times and I am ready to give it a go and try all your recommendations but before doing this i would like to ask you if you have something to suggest me. I have suffered for years and it has affected me psychologically a lot. I have lost my confidence, have stopped meeting people and have been isolated for years because i am so embarrassed for all the brown marks on my face, they are many, half of my face is covered. Please, I would really appreciate if you could send me a line of two, where to start from and any, but any, suggestions you think would benefit me. You’re welcome. Indeed I am a true believer in the power of those amazing substances, i.e. essential oils. If that is not enough and you need specific advice, please let me know. Hello I just want to thank you for this article it’s helped so much and i can’t wait to try theses oils and make a body and face remedies. Use a mason jar of some type, mix Aloe vera oil, Geranium essential oil, carrot seed oil, rose essential oil and pomegranate seed oil for a all over body oil in one, i have dry skin, stretch marks on my thighs and hips from weight gain and noticed probably about a year ago discoloration on my inner thighs which is close to intimate area so i am worried about sensitive areas for sure. I am wondering if it is safe to mix these together and or some how make it work by your help, please? You’re welcome. Sure I understand your concern. Personally, I think you’d be better off making up some body butter recipes as per the following articles. If you still want to use the essential oils you have on hand, let me know and I’ll help further. I am 58y East Indian woman. I have been using some EOs for my age spots and wrinkles on my face. My question to you is that if I mix a majority of these 21 oils in one recipe will it hurt my skin. Mixing the 21 essential oils together to form a blend is not a good idea. It would be advisable to either use the single essential oils, the essential oils recipes in the post of use the pre-mix blend of H-Age Spots. I am Kirti from New Delhi, India. I am a 40 year old unmarried female. Of late I have discovered that my facial skin gets affected easily by the sun I have developed, freckles, age spots, and milia under the eyes too. My questions are very simple. Please do answer them. I wish to move away from chemically filled store bought creams and lotions none of them have helped me with my above conditions. 1) I have heard that certain essential oils can make the face photo sensitive. I want to prepare a day time serum for myself using jojoba oil as my carrier oil. Can you suggest me some essential oils that i can use during the day as a moisturizer/serum under my sunscreen…? 2) and for the night I would love to try one of your recipes for dark spots and wrinkles mentioned above.. Please do solve my queries and i have been hunting for this unable formation but I am yet to get suitable answers. Hi Kirti,Thanks for your questions. 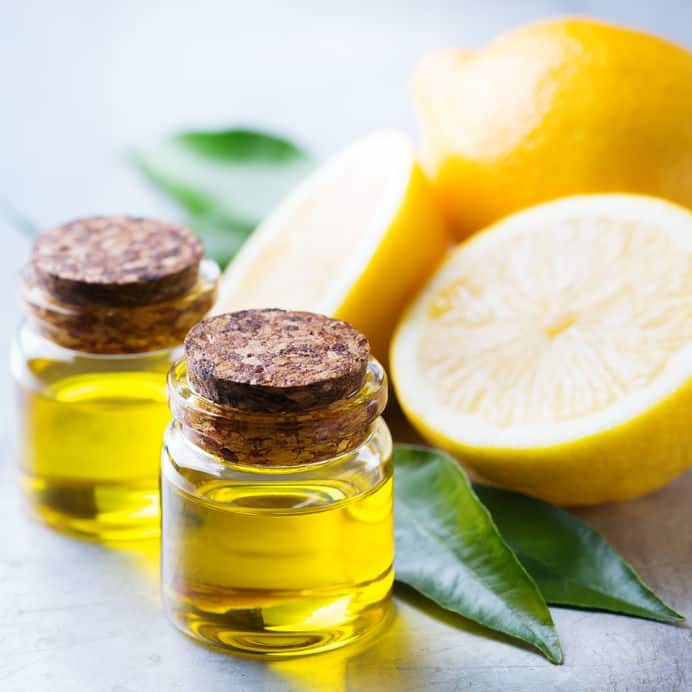 Essential oils that can make the face photosensitive include the citrus ones citrus oils: Tangerine, Lemon, Bergamot, Grapefruit, Lime, Orange, etc. Sure, please go ahead and use one of the recipes for dark spots and wrinkles. For milia, do facial steam baths for at least 5 minutes twice a day. You can also use 2-3 drops of tea tree oil diluted in 1 tsp of fractioned coconut oil and apply on the affected areas twice a day. Please do a skin test patch beforehand. Also, make sure to stay away from the sun, avoid heavy makeup, never break pimples (if you have them), do a regular skincare routine of exfoliation and cleansing. My 2 ebooks cover those in detail and gives a step-by-step approach. The essential oils recommended for moisturizer/serum depend on whether you have oily or dry skin, so the essential oils I would recommend will vary accordingly. Again, those are covered in my 2 ebooks in length, depending on your skin type. Thanks for your lovely response. My skin is neither oily nor dry. It is both normal and sensitive. It gets slightly oily in the T-zone at times when it is hot and humid. Though I have slight fine lines on my forehead and light laughter lines. So I cannot say which is my skin type on a definite note. In severe winters it does tend to get dry and in summer it behaves like combination skin…… So that’s why I could not talk about my skin type…. Must be sounding weird and funny to you. Since it tans easily hence i can call it sensitive too with the amount of freckles as I wish to reduce them. I do not get pimples but on occasions like the onset of my period or if i eat oily stuff then I do have one or two.. I experience dry skin only in winters not otherwise. So now can you suggest some good essential oils for me to be used as a day time moisturizer that can be used under the sunscreen as well…. a light and a non greasy one. 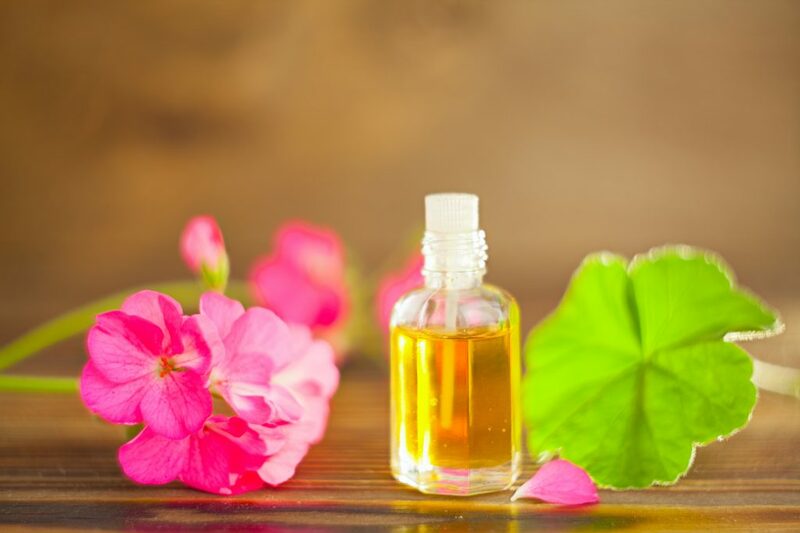 For oily skin, you can use a few drops of cypress or geranium essential oil in 1tsp jojoba oil. For dry skin, you can use a few drops of palmarosa or cedarwood essential oil in 1tsp almond oil. For combination skin, you can use a few drops of patchouli essential oil in 1tsp argan oil. If you need more info, there are over 50 or 90 pages of info. in my 2 ebooks, depending on which one you go for. A million thanks for your response. Hope you are doing good. I am yet to decide which book I should purchase as you have already read about my skin type which is itself confusing. For my under eye milia, you have recommended fractioned coconut oil… what is it? is it normal coconut oil or anything different I am unable to find it here. Instead of fractioned coconut oil can I use any other oil? Do recommend some alternatives please. Again a million thanks for your precious advice. You can use extra virgin coconut oil, however FCO has a very long shelf life and much greater stability. That is because fractionating raises the concentration of Capric acid and Caprylic acid (and to some extent myristic and palmitic acids), giving it more antioxidant effect which help against premature ageing. You can use grapeseed oil in-lieu. My brown spots are making my life miserable, which would be the recipe, that would be the best please. Have them on arms legs hands, one or two on my face! It’s stems from being in Africa when aged four and no sun cream I’m sure . You can try Recipe 2, 5, 7 depending on how many essential oils you are going to purchase. You can use a different blend for your face and another one on your legs/arms. Make sure that you have Frankincense in whichever blend you use. Thank you for putting this together!! This is great information. What Sandalwood would you recommend…Australian or East Indian? The properties of the Australian and East Indian Sandalwood essential oil are fairly similar. The most notable difference being much higher levels of santalol (25-30% vs 60-70%) in the East Indian Sandalwood, therefore a difference in aroma, albeit only in the top note. So, it is more a personal decision as to which one you would prefer. I would personally use Indian Frankincense essential oil due to its superior properties. How do you use these recipes? Are they for washing the skin or for applying after washing? If the latter, what is a good cleanser? All the essential oils recipes are meant to be applied after you have washed your skin. Pat dry the affected area and apply the essential oil blend. Do you have any remedies for sunspots (possible BCC’s). I have used diluted Oregano on a couple of sunspots, but the Oregano has given me a headache. Also, the sunspots seemed to flair up before decreasing in colour. The other combination I have been using (with very slow effect) is aloe vera gel, frankincense, apple cider vinegar and freshly squeezed lemon & orange juice. The sunspots are very very slowly fading. Can you advise? Thank you too for all the very helpful information you kindly give us. I assume you are referring to the small brown spots on the surface of your skin. As far as I am aware, there is no difference between age spots and sun spots. These ‘spots’ have numerous names including age spots, sun spots, liver spots, etc. Please refer to the article below about essential oils for age spots. There are 7 essential oil recipes included. Please let me know if you need any further help with your sun spots treatment and I will do my best. WOW! So many choices! I don’t know which one to do. If you had to pick JUST ONE recipe as the very BEST to reduce sun spots, which would it be? It all depends on your how your skin reacts to essential oils and recipes. It is sometimes a matter of trial and error to get the right recipe. If one does not give you the desired results, try another one. I have previously used Recipe 5 with great results. Thank you very much for these recipes! I am a man who recently started using oil to wash my face, and let me say that I enjoy that a lot more than the typical ‘water and soap’ method that really sits badly with my skin. I have a ‘combination’ skin type, which some regions being oily and others very dry. I have some red spots that I really want to get rid of; not sure if that’s related to aging (I’m very young), or sun exposure. I’ve also got big pores. I would like to make an anti-aging serum but do not possess all the essential oils you mention. I have the following carrier oils: argan, coconut, olive; and these essential oils: geranium, lavender, tea tree, orange, lemon and peppermint. Can you give me suggestions on how I should combine these oils? Thank you! I am glad you have started using essential oils and thanks for sharing your experience. You may want to see a doctor to get a diagnosis of the ‘red spots’ just in case they are early signs of connected to psoriasis or rosacea or eczema. 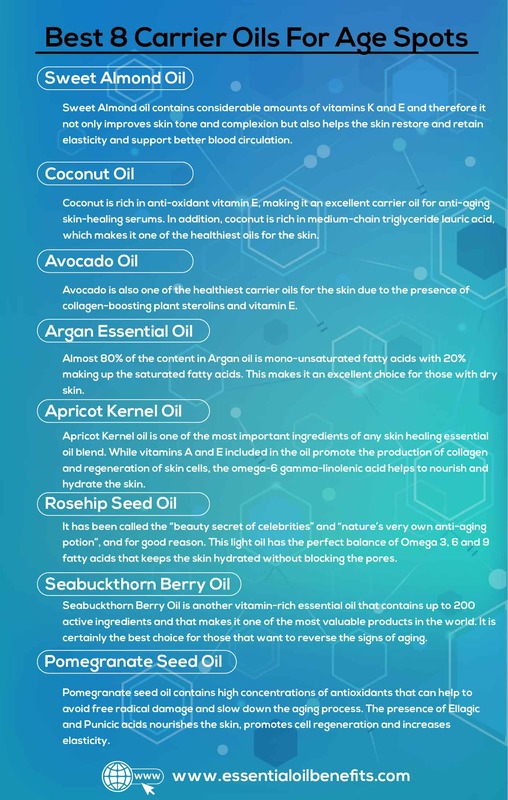 For the anti-aging serum, it is best if you followed the essential oil recipes in the post below as other combinations of oils may not necessarily work. If I cant be of further help, please do not hesitate to get in touch. You really should specific in your recipes if it is an essential oil or a carrier oil. In one you have ‘Lemon Oil’. It’s very confusing. Also, in one recipe you suggest using 1 cup of apricot kernel oil and it will all fit in a 5oz amber jar. How so, last time I checked one cup was more than 5 oz. It is Lemon Essential Oil. It should read a 10 oz jar. I have made the change. If you need more clarification, please let me know. Where can you buy the glass bottles, droppers and roll on bottles? I’ve never used the carrier oils you refer to in your articles and recipes….as a beginner I only use frac coconut oil. My question is what is the difference in ROSEHIP SEED OIL Recipe VI and ROSEHIP CARRIER OIL Recipe VII….CARROT SEED OIL in Recipe III, and ROSEHIP with Vit A & E……I am very limiited to funds as I have been spending a lot of money on the basic oils like lavender, frankincense, rosemary, etc. Any subtitutions on the rosehip seed oil, rosehip carrier oil, carrot seed oil, etc. that I can make at this time ??? You can use Rosemary, Neroli or Lemon oil instead. Hi. I’m looking forward to trying these recipes. I’m curious, would you say the oils and or blends have an expiration date? Also, is it better for purpose of hygiene or….to use amber bottles and droppers as opposed to using rollers? Thank you in advance! All essential oils generally have an expiration date, however studies have found them to be potent even after 5-10 years if stored properly, however, it is very difficult to predict. I guess it is a matter of preference if you wish to use a bottle with dropper vs a roller. My personal preference is a bottle/dropper combination or a spray head. Can’t wait to make and try some of your recipes!! Thanks for your comment. Please let me know how you go and if you need any help. I just received my order today and I’m anxious to try the Sleep recipes as well as the recipes for skin since I have eczema on my hands, which, by the way, no commercial, over the counter, or prescription medications have helped. Thank you sooooo much for all your advice !!! I am glad that you like my article and I love to share useful information with people. Please let me know how you feel after you try the recipes. What are the amounts of the oils in recipe #1? Thank you. Thank you for pointing out and my apologies for missing this important piece of information. I have updated the quantities in recipe 1 above. Enjoy. Great information…Keep this great work going on…. How many drops of each EO in the first recipe? Thank you for a very clear and comprehensive article. I really appreciate receiving all the information you send out. Thanks for your comments. Hope you enjoy my other articles too!